Aerodrome Management Services operates two offices. One for our management and airport operations team and the other is dedicated to our engineering group. 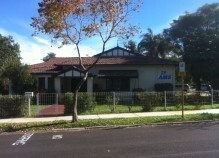 Both offices are in immediate proximity to the East Perth Train Station.